Just days before iOS 7 and iTunes Radio is expected to make its public debut at Apple’s September 10th event, Microsoft has released Xbox Music for the iPhone. 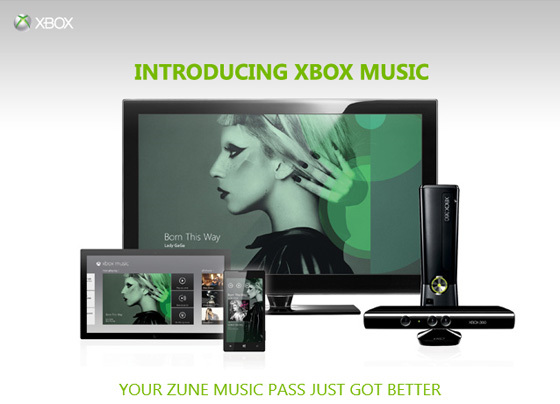 Microsoft’s Xbox Music was first unveiled last October and allows users to listen to music streamed via Xbox Music. Whether the Music stream is supported by ads or not depends on whether the user pays for a subscription or not. The service is available on Microsoft devices such as Windows Phone, Xbox 360, and Windows PCs. Following today’s launch, Xbox Music is now available on both the iPhone and Android devices. In a move that is undeniably aimed at competitively getting one over on Apples unreleased iTunes Radio. Microsoft hope that by releasing their product sooner, that uptake will be higher, helping put Microsoft’s stamp on the market. Microsoft will also be releasing an update soon that they say will allow the ability to download music for offline listening. Xbox Music is being offered on iOS and Android as a free download, but users will be required to have an Xbox Music Pass to listen to the service on their mobile device. An Xbox Music pass is currently available for a 30-day free trial, and then costs $9.99 per month after that. What do you make of Microsoft’s move to launch before iTunes Radio? Do you think it will work? Let us know in the comments below.